Will Hayhurst scored his second goal in as many games to help Preston to a 1-1 draw at MK Dons. 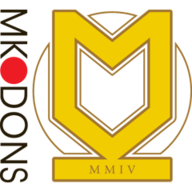 Hayhurst, 19, scored from a tight angle in the seventh minute to cancel out Adam Chicksen's early opener for the Dons, who have now drawn four successive games. Chicksen put the Dons ahead after only two minutes when he curled the ball first time into the top corner from Ryan Lowe's cut-back, following a mistake by Bailey Wright. But Hayhurst equalised for Preston just five minutes later, sneaking in at the far post to fire the ball high into the net from Lee Holmes' low cross. Stuart Beavon then had a fierce strike parried by Ian McLoughlin as the Lilywhites seized control, while Lowe had two close-range shots blocked on the goalline for the Dons. 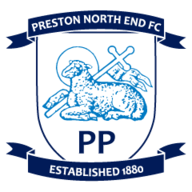 Preston created the better chances in a low-key second half, with Nicky Wroe blasting narrowly over the crossbar from the edge of the box and Hayhurst seeing his fierce free-kick pushed over by McLoughlin. The introduction of substitute Dean Bowditch sparked the Dons into life in the closing stages but his 25-yard drive flew just wide and Chris Lines' curling free-kick shaved the post as their winless run continued.